Smile Quote No. 1: A Smile is a Powerful Weapon; you can Break Ice with it! Smiles can be very important to breaking the ice and connecting with other people. Not many people understand just how significant a smile can be when it is shared with another person. A smile makes us approachable, sociable and ready to take on any challenge. A smile is something that can break language barriers as well and something as simple as a smile with another person you may not understand can show your approval for them. 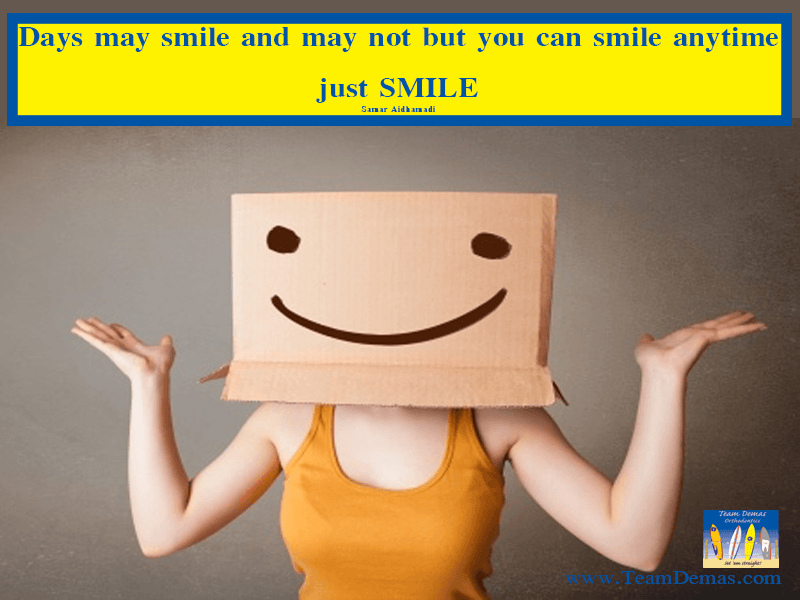 Because a smile is such an important weapon and because we need our smiles to meet new people, connect with them and to be more sociable it is extremely important that we constantly take care of our smiles. If you aren’t confident in your smile or you would like to spend some time working on your smile the experts at Team Demas Orthodontics can help you with your goals. Please contact Team Demas Orthodontics with any of your concerns and let us help you break the ice with someone special today. We can help you get the smile you have always wished for so that you can finally have a powerful weapon to break the ice and meet someone special.